Cathy Yang is currently the head of the commercial company of Shanghai Tower. Before joining Shanghai Tower, she had been in charge of TAIPEI 101’s operation for 15 years. 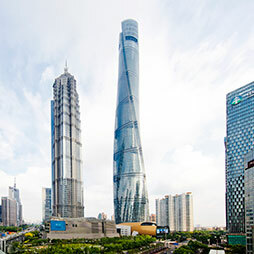 She also took TAIPEI 101 on the journey to become the tallest LEED EB Platinum green building in 2011 and started the re-certification process in 2014. She also initiated the issuance of annual Corporate Sustainability Report for TAIPEI 101. In addition to the regular operation of a commercial building, every year she lead the team to launch several annual events that contributed in the promotion of the city of Taipei, including the famous New Year’s Eve countdown fireworks display. Before TAIPEI 101, she worked for an international property consulting firm in Taipei, Tianjin and Beijing for 8 years where she had extensive experience in various aspects of real estate services and had set up the Beijing operation for the firm. Cathy Yang has a bachelor degree in Economics from National Taiwan University in Taipei and a Master degree in International Affairs from Columbia University in New York. Cathy has been involved with CTBUH since TAIPEI 101’s completion as the world’s tallest building at the end of 2004. She spoke at several CTBUH conferences sharing her experiences on leasing and managing a supertall building and on the greening efforts of the former tallest building. She was the CTBUH country representative and was on the board of Trustees from 2013 to 2015. CTBUH has named its 2016 Fellows and two Lifetime Achievement Award recipients: Dr. Cheong Koon Hean of the Singapore HDB, and Ron Klemencic of MKA. 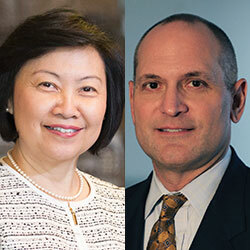 The CTBUH has confirmed the next generation of industry leaders to join its Board of Trustees: Cathy Yang, Taipei Financial Center Corp., Craig Gibbons, Arup and David Malott, KPF.